2013 Fulbright grant recipient Catherine Tuttle. Photograph by Michael Bradley/Bates College. 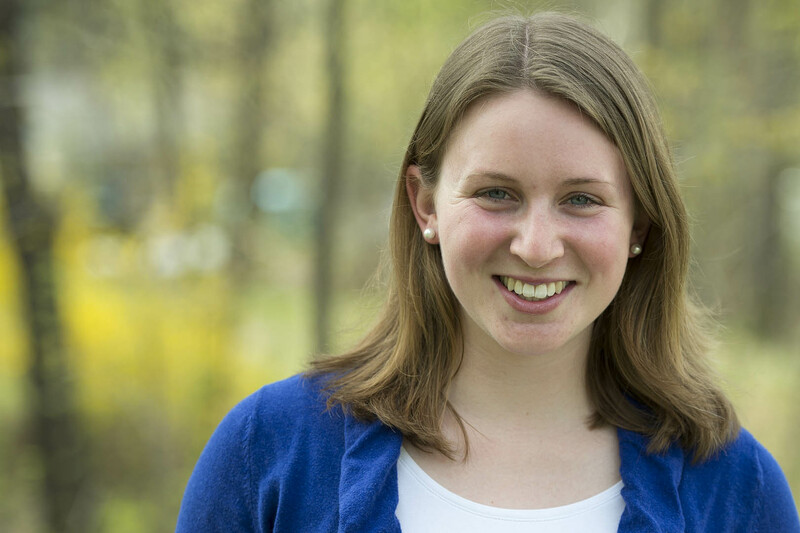 A double major in Spanish and English, Catherine Tuttle ’13 of Pittsford, N.Y., was awarded a Fulbright English Teaching Assistantship for work in Spain. Tuttle has studied French, Spanish and Russian at Bates and took a course concentration in modern Europe. She has tutored Somali students in English in a Lewiston after-school program, and taught English to primary school students in Argentina. Another qualification for the Fulbright assistantship is her four years in Model UN in high school. “An important aspect of Spain’s ETA program, to me, is the Global Classrooms project,” similar to Model UN, she says. “Model UN ultimately influenced my aspirations to work as a foreign correspondent or diplomat,” she says. After Spain, Tuttle hopes to teach English in Eastern Europe through the Peace Corps and go on to study international relations or communications in graduate school.